Hearing aids are used to enhance hearing sensitivity so that speech perception can be improved. It makes conversations easier to follow requiring less repetition, lip-reading and concentration. Hearing aids, cannot, however, restore normal hearing sensitivity. Following a hearing assessment, our clinicians will be able to help walk you through your options to make an informed decision on the type of hearing aids best suited to you. All our hearing aids are sold with a 45 day trial period which means that if you are not satisfied with the aid for any reason, you are entitled to a refund of your monies. During the trial period, we typically schedule 2 or 3 follow-up appointments to ensure that you are adjusting well to the devices and to make any fine tuning changes as necessary. A hearing aid fitting appointment is then scheduled for you. When you return to our clinic, your hearing aid will be ready for you. Our experts will program the hearing aid to suit your hearing loss. Measurements of the output of the hearing aid will be made to ensure that it is suitable for you and meets your prescription requirements. You will also be taught how to insert, remove and clean your hearing aids at this appointment. Our hearing aids are sold with a manufacturer’s repair warranty and loss and damage coverage. Sound id.EARS also provide a free lifetime service contract to all of its clients. This service contract entitles our clients to in-house cleaning and checking, adjustments or re-programming and hearing rechecks at no charge. Please note, however, that any repairs required outside of the manufacturers repair warranty will be charged for. There are a variety of styles and sizes of hearing aids. The most appropriate styles will be dependent upon your cosmetic preference, the size and shape of your ear canal, degree of hearing loss and the listening demands of your lifestyle. 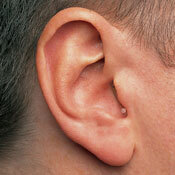 Receiver-in-canal (RIC) style – These hearing aids are the most popular style. They are discreet and light to wear. They are appropriate for mild to moderate hearing losses. A good level of vision and dexterity is necessary to handle these hearing aids. In-The-Canal (ITC) style – These hearing aids are custom-formed to your ear and can be discreet if your ear canal is large enough. Some people prefer this style if they would rather not have a device behind their ear. They are appropriate for mild to moderate hearing losses. A good level of vision and dexterity is necessary to handle these hearing aids. 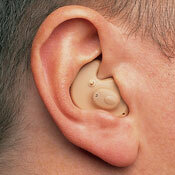 In-The-Ear (ITE) style – These hearing aids are appropriate for mild to severe hearing losses. They are custom formed to your ear and are easiest to handle if you have vision or dexterity issues. Some people prefer this style if they would rather not have a device behind their ear. Behind-The-Ear (BTE) style – More severe to profound hearing losses require a larger hearing aid that sits comfortably behind the ear. A custom earmould is often made to ensure that all sound is delivered without any leakage. Extended Wear Hearing Aids – These hearing aids are suitable for mild hearing losses and are worn continuously for 3 months. They do not require daily removal and can be worn while showering or swimming. These hearing aids are suitable for those who would like the most imperceptible and inconspicuous device. Hearing aid users also have a variety of technologies from which to choose. What is appropriate for you will depend on the type and severity of hearing loss, your lifestyle and the auditory demands of your environment, and personal preference to style and budget. The economy models work well for clients who only need hearing aids for listening in simple and quiet environments for one-to-one conversations. More premium hearing aids are able to handle tougher listening environments for more active lifestyles, and use digital and wireless technology to clarity speech from noise to provide an easy and comfortable listening experience. 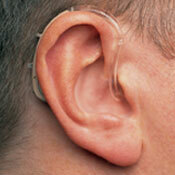 Our clinic carries a wide range of different hearing aid manufactuers. We do so in order to ensure that you have access to the style and technology that is most suitable for your hearing needs and your lifestyle. If you have done some of your own research on hearing aids, don’t hesitate to discuss this with our staff who would be most happy to hear from you. Hearing aids can be covered by some 3rd Party Service Providers such as the Workers’ Compensation Board (WCB), Veterans Affairs Canada (VAC), Royal Canadian Mounted Police (RCMP), Department of National Defense (DND), Department of Indian Affairs (DIA), and various Provincial Ministries such as the Ministry of Employment Assistance. For private clients, hearing aids may be claimed as part of your Extended Health Coverage. Please enquire directly with your medical insurer to determine the extent of your coverage. Hearing aids are also classified as medical devices and thus are an expense that you may be able to claim as part of your personal income tax filing. Check with your accountant. Of equal importance to the choice of hearing aid style, is the choice of hearing aid technology. Generally, advanced technology has been designed for greater speech clarity, improved hearing in the presence of background noise and flexibility of use in a variety of different listening situations. More advanced hearing aids also allows for greater flexibility when fitting a hearing loss, by providing for more frequency channels or bands. These bands segment the frequency range of sound into smaller units allowing for greater precision and accuracy when fitting a hearing loss. These channels are similar to the graphic equalizers of your stereo systems. Are characterized by speech enhancement and automatic or selectable noise reduction capabilities, adaptive, directional microphones and generally has 14 or more frequency channels. Are characterized by automatic or selectable noise reduction, directional microphones and has up to 4 frequency channels. Are characterized by 2 or more programs for use in different environments, switchable directional microphones and up to 3 frequency channels. Are characterized by CD quality sound with fully-automatic volume controls, and generally have 2 or 3 frequency channels. Are characterized by requiring the user to control the volume of the aid through the use of a volume control, and tend to be limited to 1 or 2 frequency channels. When you are fitted with a new hearing aid, you can enjoy a no-obligation, 45-day trial period. This will allow ample time for our audiologists to monitor you closely during this time to ensure that you are adjusting to your new instruments. However, if you are dissatisfied with your hearing aids for any reason, you can be assured that a full money-back guarantee is provided. All of our hearing aids are provided with a 2 year manufacturer’s repair warranty and a 1 year loss and damage coverage (deductible applies). We also provide an in-office clean and check service for the life of your hearing aid at no additional charge. The proper fitting of a hearing aid requires careful testing, followed by some fine tuning by qualified professionals. Purchasing hearing aids by mail, through over-the-counter or on-line discount retailers has great potential to lead to an unsatisfactory solution to your problem. Advertisements that claim “exclusive” technology should be regarded with suspicion. Do not succumb to high-pressure sales pitches if you do not feel comfortable about purchasing the hearing aids. In British Columbia, all hearing aids must be dispensed with a trial period. Therefore, any hearing aid purchaser is entitled to a refundable, money-back guarantee if the hearing aid is returned during the trial period. Ensure that you understand the terms of the trial period before proceeding. Discuss with your professional what the repair warranty covers, how long it is in effect, and whether there is coverage if you travel or move to another city, province or country. Investigate whether loss and damage insurance is included and whether or not any deductibles apply. Our batteries are Rayovac Prolines which are available only through hearing healthcare professional offices. These batteries are the highest quality available and most suitable for the latest digital technology hearing aids. If you wish to enquire about your eligibility to make a claim with any of these organizations, please contact our clinic. 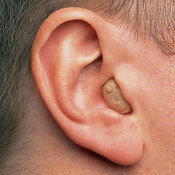 Many Extended Health Plans also have some provision for hearing aids. Check with your plan directly to find out. All hearing aid purchases, and any costs incurred in their maintenance may be claimed as a medical expensive against your Income Tax. Check with your accountant for details specific to your situation. Prices for hearing aids vary between clinics. For those who will be purchasing hearing aids privately, the British Columbia Association of Speech Language Pathologists and Audiologists provides some useful fee guidelines.